Katlin found me through a mutual friend that we have, and I’m so glad she did, because this session was SO much fun! I loved working these with these two yesterday! 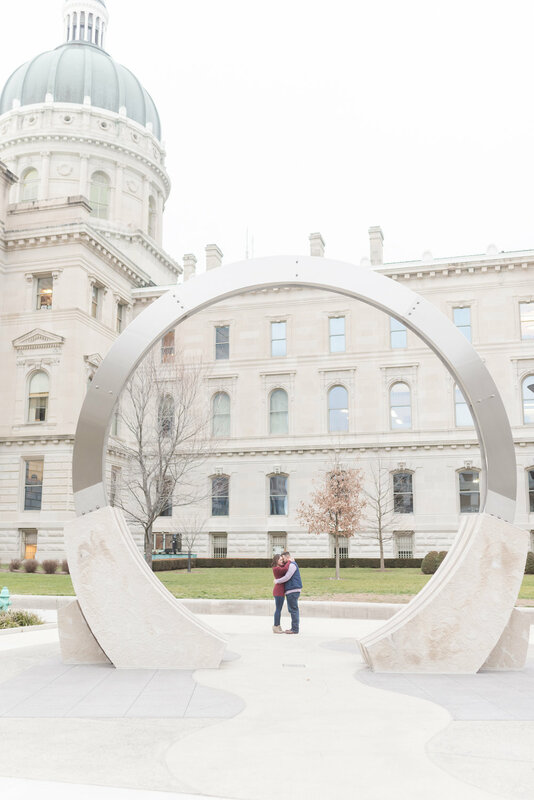 They opted for an engagement session downtown, because it’s a special place in their relationship. 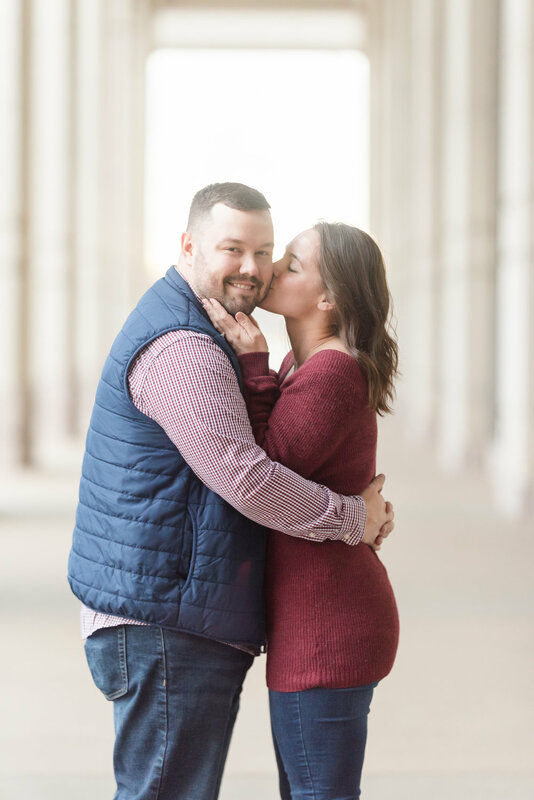 It’s so sweet when couples have an adorable reason for choosing a certain location for their session. I absolutely love using downtown locations in the winter, because architecture is beautiful in any season. 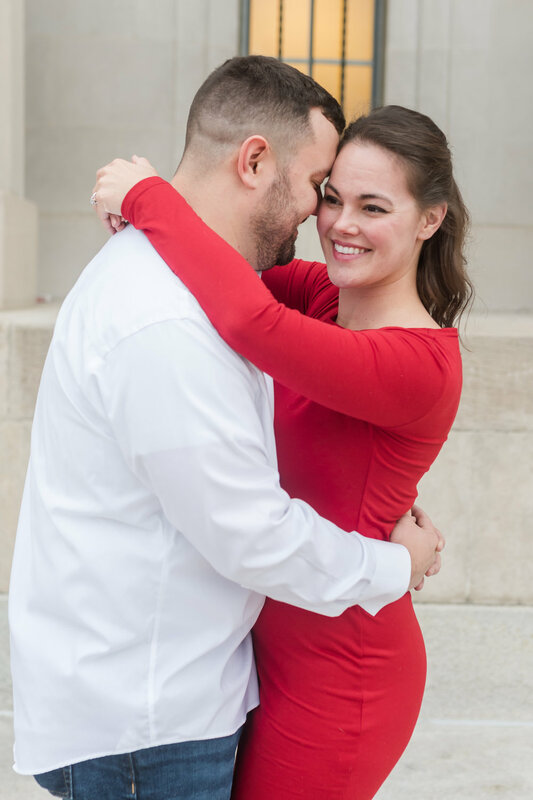 You can read more about some of my favorite locations for engagement sessions here. We actually scheduled this session for way back in mid-December, but we had to reschedule three times due to rain. Snow would have been fine, but we’ve been having such a warm December that we ended up with rain every time. Luckily Katlin and Jake weren’t in a huge rush to get their photos, and we were able to push their session back until we could get some good weather on our side. 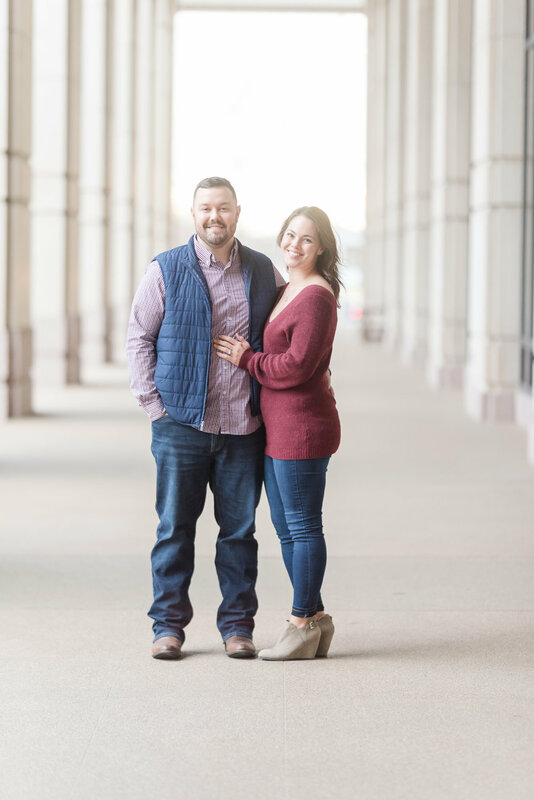 Katlin was sweet enough to trust me to choose the specific downtown locations we used for their engagement session. She and Jake originally wanted to use the canal downtown, but unfortunately it was being drained for a once in 10 years cleaning. I ended up choosing the Central Library and the pillars outside of the Indiana Government Center. These are two of my absolute favorite places to shoot, because of the beautiful architecture and the elegant vibes. Katlin and Jake also chose the perfect outfits! I love that they opted for a formal look, and a more casual look. They were absolutely stunning! Katlin and Jake, I hope you enjoy your sneak peaks! Your full gallery is coming soon!